Home News Apps Chatbot development. What options do you have? Chat bot development is a top discussed topic all around. Somebody wants to create a chatbot online and quickly, somebody – for free, or cheap. The development costs of the chatbot directly depend on how it’s designed and its functionality as well. Let’s investigate and find the answers together. Well, there are two ways of creating a chatbot: a) to order the development of your chatbot from scratch, or b) use out-of-the-box solutions with the help of bot builder. A chatbot is a program code (backend: PHP, Python, node.j, c # or any other server-side language or Corezoid type processor) with admin panel created for a specific need. A business bot has its analytics; it can be integrated with an internal system, and installed in any instant messenger. To create a chatbot manually takes several weeks or even months. In this case, the development of chatbot costs starting from a few thousand to several tens of thousands of dollars. You have to figure out if you need a custom-built bot or ready-made solution. 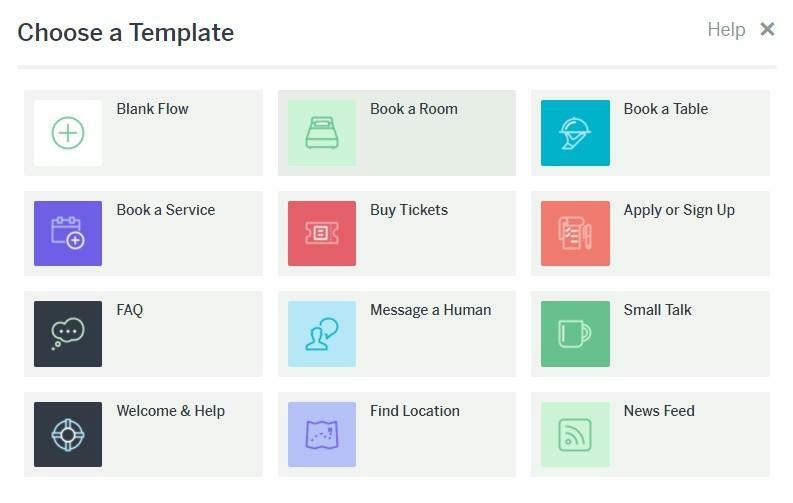 OUT-OF-THE-BOX SOLUTION OR CHATBOT BUILDER? You can’t directly download the chatbot but buy a builder software license. For example, live chats such as JivoChat, SiteHeart, or Sender are both a chat, an operator’s workplace, and a frequently asked questions auto-reply bot. To get started, you need to sign up one of mentioned above services, create an operator profile, and set up its workplace. Once you complete, ask the website developers to put the code of this chat on the site or landing page. It will take you less than one hour together along with the installation of the code on the site. Consequently, the price of the chatbot is disproportionately less than a custom-build option. You will need to spend a couple of hours setting up question and answer scripts, but there is nothing complicated. Evergreen develops complex chatbots with functionality, not covered by ready-made solutions such as JivoChat and SiteHeart. To understand which of the options is the best for you, let’s compare the pros and cons of the out-of-the-box solutions and builders. to store the history of communication with each client with an ability to quickly find it. to leave the request for the operator, or start communicating with him. in Here is one example of a simple bot, made by Sender, and embedded in the PrivatBank website. It has minimal functionality – answers to frequently asked questions, built on button interaction. It is possible to text to this bot, but it only responds to exact phrases. So it will be difficult to establish a dialogue with it. The chatbot doesn’t perform any banking operations or give personal information, like a PrivatBank Viber Bot, but it switches the communication to an operator. case you require a Welcome-robot, as a visiting card of the company in the messenger. Furthermore, with simple commands as a good code by keywords, the chatbot will provide the full information about the product. The voice command “pay” will request the payment form, etc. Sender covers the essential functions of the chatbot. On the Sender platform, you can develop more complex bots, but it involves Corezoid programming. There is a particular number of chatbot builders, and most of them are accustomed to a specific messenger. The set of features is similar to the Sender platform. If you google, you even can find a free chat builder. The most popular ones are focused on the chatbot for Vkontakte, Telegram, Viber, or Facebook. Chatfuel, Botsify, Converse.ai, Flow XO, botmother, mobilemonkey, and many others. More often, the builder provides the simplest features for chatbots: based on scripts answers to the questions; commands by keywords. Some of them are capable of processing payments, collecting, and processing the data. The minimal set of features is available for free. If you want to extend the functionality, be ready to pay. To create such chatbot doesn’t demand great efforts. On the Internet, you can find many manuals on how to build a chat bit, but this is another topic to discuss. Full integration of business bot with the company’s internal systems. When you need to get data from CRM: what is the balance, history of purchases, availability of goods in stock, and so on. The chatbot built with the constructor can’t perform complex algorithms, that are not covered by the contractor. Often chatbot builders are mainly specified only on the dialogue. Functions such as Search in Google, select the most relevant results, book tickets, etc. aren’t supported by a constructor. With the help of chatbot builder, you can’t create a shopping cart. You can buy single goods in the bot. For each purchase, you need to go through the chain of actions: “find an item,” “buy an item” and so on. The only custom-built bit can perform such operations. The builder has a limited set of features for communication/actions that cannot be expanded. Recognition of what a person understands – pictures, maps, and so on, can be customized only manually. Hardly any chatbot constructor can cover such features. Custom-built chatbots for business allow using various exciting possibilities, which are not available for chatbot builders. Their functionality depends on the wishes, needs, and capabilities of the customer. If the chatbot with the manageable functionality meets your business expectations – we recommend using constructors.